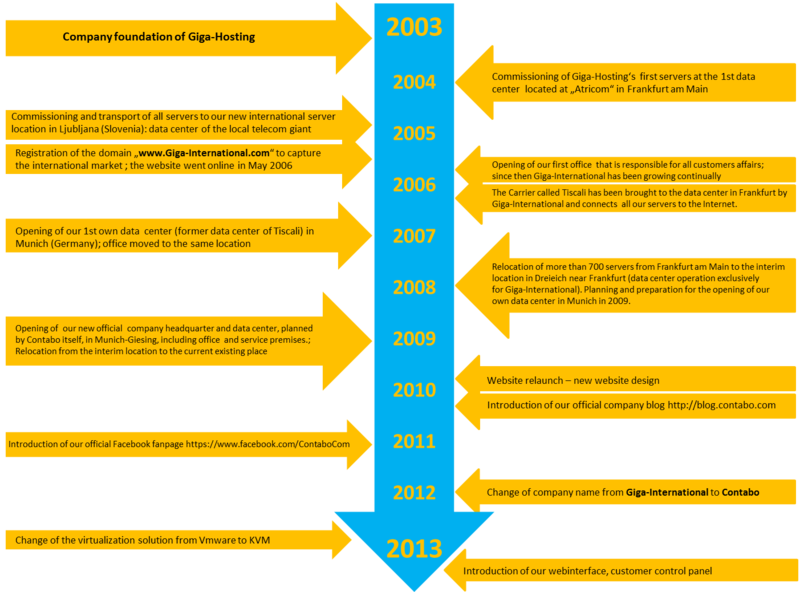 In our last blog post we have already given you an overview about the history of Contabo since its foundation. 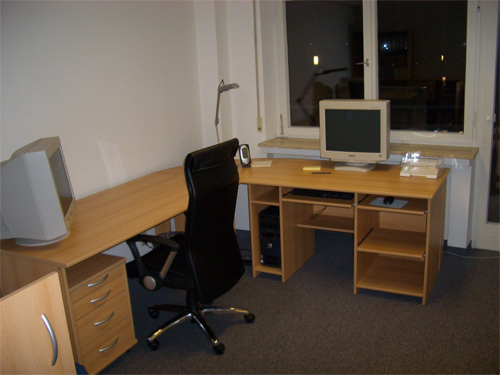 In March 2006 we opened our first office in the heart of Munich. 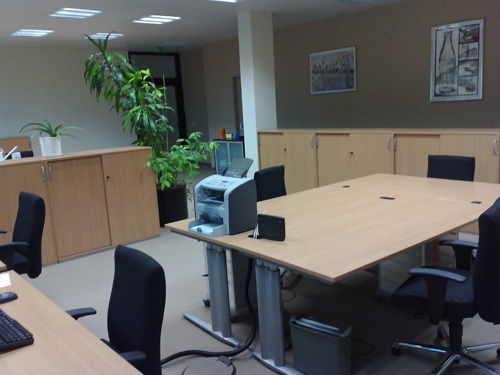 During a long night session we set up several tables, chairs and computers in our new office which was located in a mixed building with offices and apartments. That’s why it wasn’t really surprising (but for us it somehow was at this moment) when an angry neighbor complained about our noisy furniture assembly and installation. So we finished our hammering, drilling and screwing at 3 o’clock in the morning and continued on the next day. Thanks to our apology and a bottle of red wine the domestic peace could be restored again. 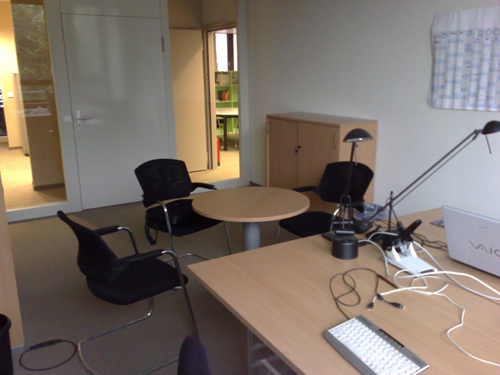 According to our former company size our first office was very small and contemplative. Nevertheless, nothing was missing. 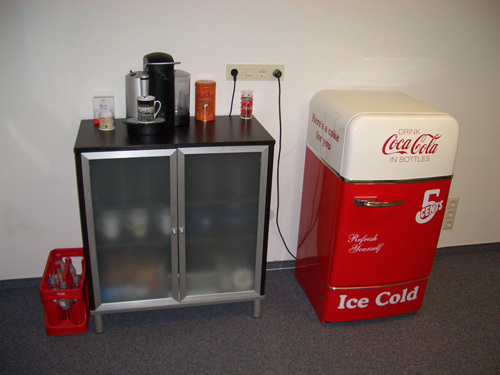 Right from the beginning a “Coke”-refrigerator of the brand “Bosch” in 50s retro style had been ordered and has been providing us with refreshments until today. By the way, the purchase price was 700 Euros plus delivery expenses. Unfortunately, we didn’t stay in the office for a long time although we had been blessed with a delicious food infrastructure like Mc Donald’s, Pizza Hut and several Döner restaurants because of its location in the middle of the city center. We took advantage of the possibility to use a small data center in the middle of Munich operated by the carrier Tiscali with exclusive access to our servers. Tiscali itself stopped all its business in Germany at this time because they didn’t perform profitably any more. Further details of the Italian telecommunications company which was our partner at that time can be found on Wikipedia. 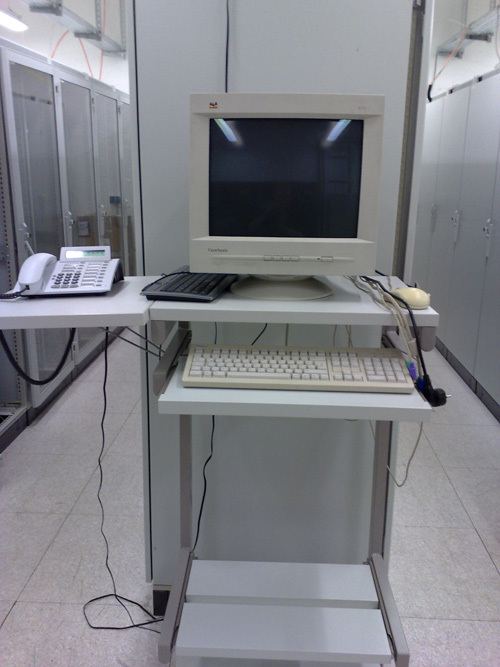 In 2007 we split all of our servers in two different locations; one was located in Frankfurt and one in Munich. 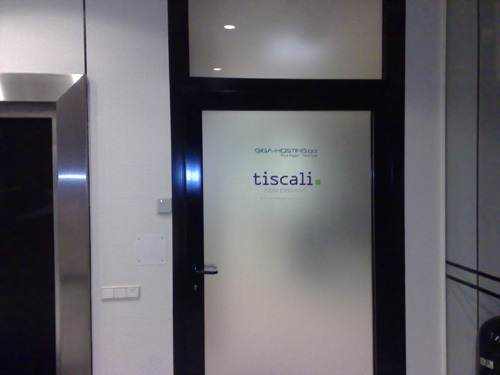 At the same time we moved our office to the former office rooms of Tiscali to operate near our servers. This gave us the possibility, in the event of any server problems, to react instantly at any time. 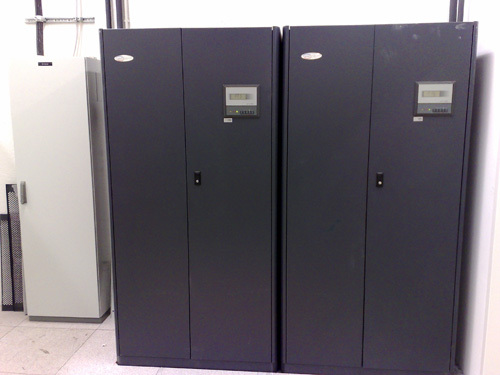 This relocation was the kick off of our colocation and housing product offers. 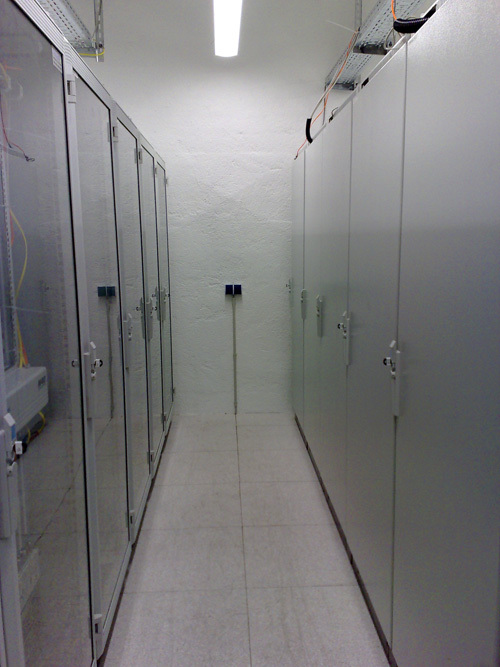 From this time, customers had the possibility to colocate their own server hardware in our data center and to benefit from a very fast internet connection, from excellent international routing, redundant air-conditioning and power supply. The number of servers increased rapidly. 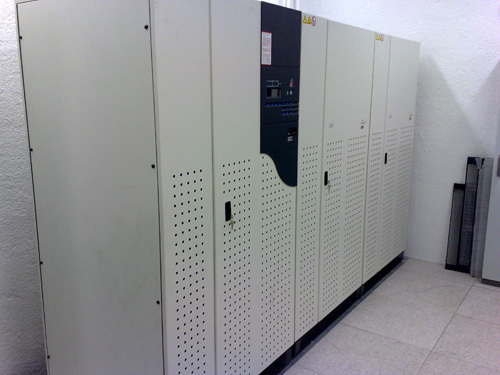 The racks of Rittal shown on the pictures above have been taken over from Tiscali by us later on and are still in use in our data center. 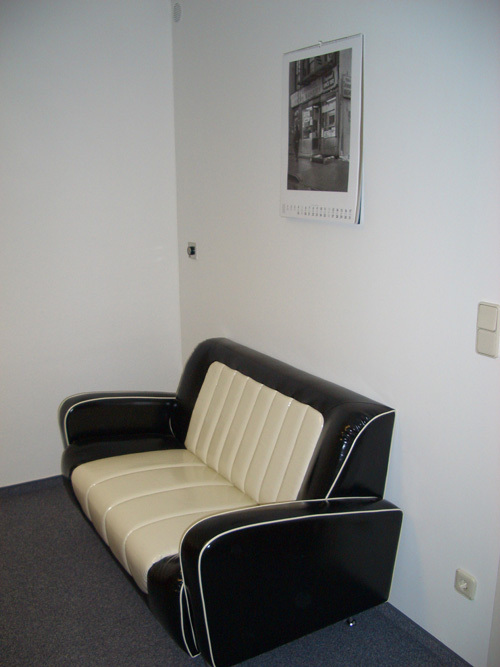 We left the building in 2009 when we opened our today’s office and data center in Giesing/ Munich.